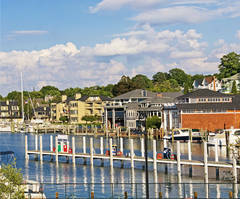 Hip Charlevoix is a harbor town and the Round Lake Yacht Basin is one of its treasured landmarks. The bowl-shaped Round Lake is surrounded by fancy boathouses, and terraced ridges covered with stately homes. 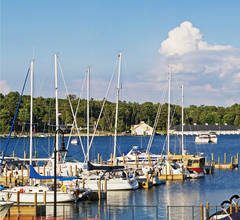 Many people make a loop through the ever-lively Bridge Street and then take a peaceful stroll along the marina filled with yachts and sailboats.